The Pats are on at 3:00 p.m. this Sunday, which means it's time to put on your gray hooded sweatshirt and plan your open house strategy. Everyone knows the best offense is a good defense (just ask Tebow) and you can get ahead start by taking a virtual tour of these new single-family home listings in Arlington, MA. Stick with us and you'll be back in time for nachos and kick-off! 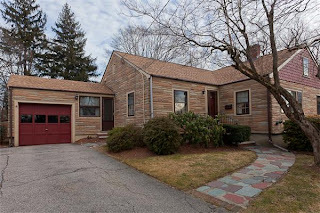 Take a Virtual Tour of 6 Virginia Road! Owned by the same family for over five decades, this home has been lovingly maintained and reflects true pride of ownership. Recently painted and with gleaming hardwood floors, this over-sized Ranch has plenty of space. An open living room/dining/kitchen and huge lower level make this a great home for entertaining. Three comfortably sized bedrooms with ample closet space Garage parking and a nice yard make this a must see! What's Nearby: Arlington Heights shops, Public Transportation, Robbins Farm Park, Walk/Jog Trails, Bike Path, Dallin School. Take a Virtual Tour of 40 Pleasant View Road! 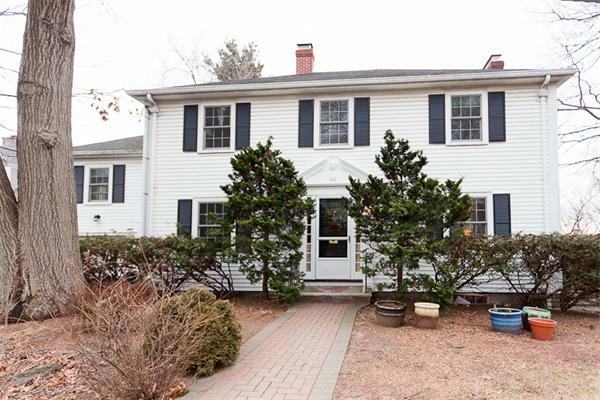 Premier Jason Heights Colonial with beautiful, seasonal views of the Boston skyline. This wonderful home has been lovingly maintained over the years and reflects the true sense of a classic New England home. The first floor has a front-to-back living room with a center fireplace, a formal dining room with hutch, an eat-in-kitchen and a terrific home office or playroom. There are 3 spacious bedrooms, 3 full baths including a large master suite with private bath and fireplace. This is a lovely place to call home. There are plenty of choices in Arlington this weekend, scroll down to browse them all!